It has never been easier to print a one‑of‑a‑kind T‑shirt or bag for your customers to take away immediately. Expand your production print offerings with industrial print solutions that showcase your creativity and increase your profitability. 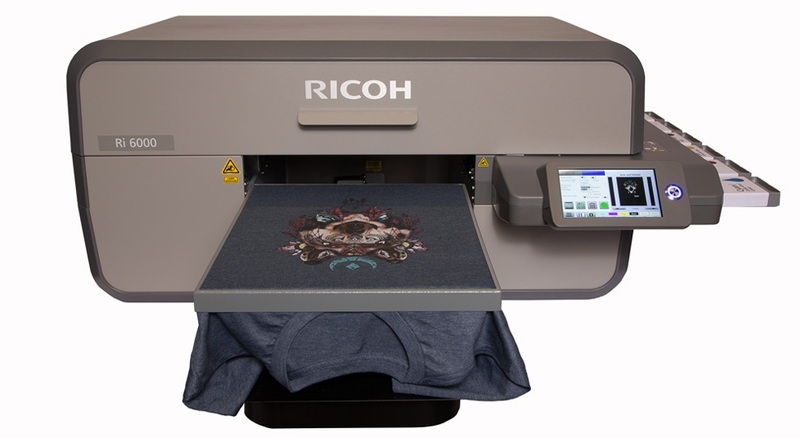 With Ricoh you have a DTG printer ready to streamline apparel printing and satisfy more customers. Ricoh’s DTG printers offer outstanding image quality, high‑quality inks, and automatic maintenance and cleaning features designed to deliver superior results every time. However, quality does not come at a cost: Ricoh’s DTG printers offer a far more cost-effective entry into the market than competitor products. Don't comprimise your investment by tolerating bad service - choose Ricoh for trusted technicians who know what they're doing. With a range of support plans for every organization and budget, make sure you have peace of mind to know if something does go wrong, you can call a trusted partner to get you up and running lightning-fast.